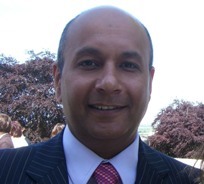 Yashwant Koak is a consultant surgeon working in Britain. He is a proponent of the idea that Dholavira, a recently discovered city of the Indus civilisation, provided the inspiration for the Atlantis story. Koak has offered six papers to the 2008 2nd Atlantis Conference in Athens. His essays cover Vedic mythology, topography, Dwarka and Indus migration to Europe. Apart from all that he enjoys cricket and playing the didgeridoo, not, I should add, at the same time.